NIPER JEE 2019 is also known as National Institute of Pharmaceutical Education & Research Joint Entrance examination (NIPER JEE 2019). Application Form for NIPER JEE 2019 is now available. NIPER JEE 2019 is a standard test that is conducted by the National Institute of Pharmaceutical Education & Research to determine admissions into Master level courses in the field of Pharmacy. Candidates will be admitted in the courses like :- M.Pharm, M.S.(Pharm. ), M.Tech.(Pharm. ), MBA (Pharm.) and Ph.D courses (Pharmaceutical & Biological Sciences disciplines) in NIPMER campuses. Latest: Registration for NIPER 2019 Master level courses has been released. Click here to apply online. In this article, we are providing details of NIPER JEE 2019 related events such as NIPER JEE 2019 exam dates, NIPER JEE 2019 application form, NIPER JEE 2019 eligibility criteria, NIPER JEE 2019 exam pattern. For all the candidates, it will be mandatory to check the eligibility conditions before they can apply for the admission in their desired course/. If any candidate is found not being eligible, their admission shall be disqualified right away. The institute cannot be held responsible for not intimating the candidate of cancelling their admission in such case. For students awaiting Final year result” Students awaiting their final year results need to send confidential results from official email ID of respective university Registrar before final counselling to the following E mail ID: [email protected]”. Click Here to check college wise eligibility criteria. Applications are available and are submitting in online mode by visiting the official website at niper.ac.in and downloading the registration form. Candidates are required to provide details like personal details, educational details, correspondence address details etc. In addition to that each and every candidate will be required to pay the requisite amount of money to complete the application process. Application forms can be acceptable on or before its last date. 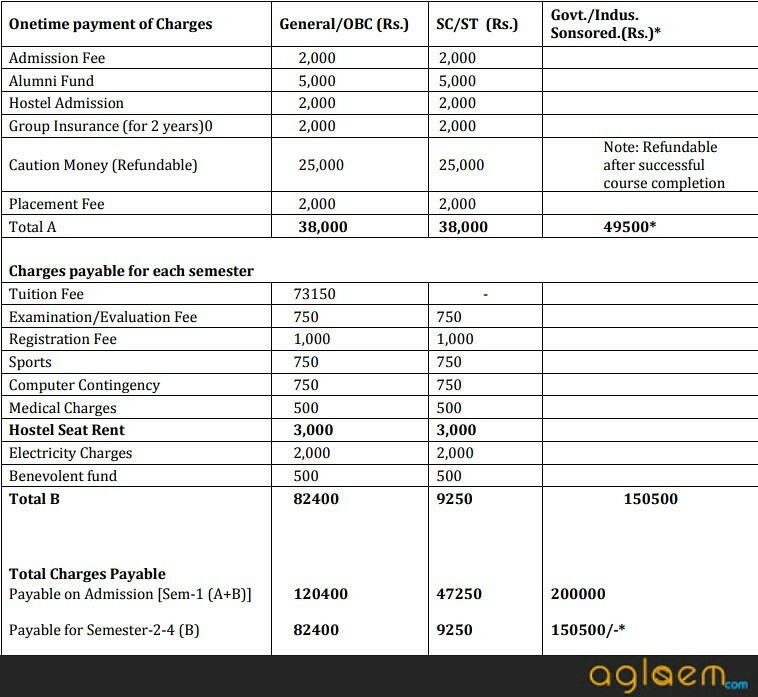 Each and every individual must pay the amount depending on their category and the option of course they choose. 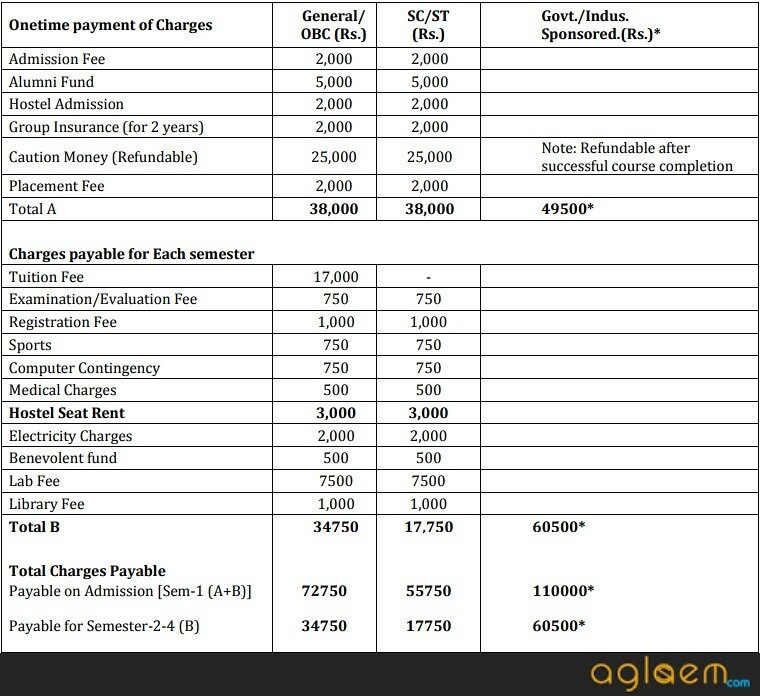 The fee details of NIPER JEE 2019 are given below. National Institute of Pharmaceutical Education & Research will issue the admit card for the candidates to appear in the Joint Entrance examination. The institute will release the NIPER JEE 2019 Admit Card after the successful completion of the application form. The admit card will be issued by the NIPER in online mode at niper.ac.in. To access the admit card, candidates will need their credentials details. On it details like exam date, venue and exam timings will be imprinted. Admit Cards will NOT be sent by post. Bring a print‐out of the downloaded Admit Card to the examination Centre along with the original and valid photo identification (NO photocopy / scanned copy/ expired ID is permitted). It may be noted that candidate may carry one of the following IDs: Driving License, Passport, PAN Card ,Voter ID, Aadhaar UID, College ID, Employee Identification Card, or Ration Card. There will be a common paper for all Masters Programs including M.B.A. (Pharm.). The question paper will consist of 200 objectives multiple type choice questions. The level of questions will be of B.Pharm. And M. Sc. (relevant field). A few questions will be from general aptitude. Duration of the examination will be 2 hours. There will be negative marking in the on line test. 25% marks will be deducted for each wrong answer. The result of the online test will be declared on the official Website of the Institute (www.niperahm.ac.in) within 10 days of test. NIPER JEE 2019 result will be declared after the successful commencement of the examination. The result will be published on the website at niper.ac.in. Candidates will be required to obtain minimum percentage of marks to be declared qualified. After qualifying the exam, candidates can get admission in various campuses of NIPER. Admission to these programmes will be through counselling. Counselling would be based on merit obtained by candidates in entrance examination. The candidates will have to report to the Institute for counselling on scheduled date and time. Candidates applying for admission under any reserved category shall specifically claim admission under such reserved category and bring relevant certificates in support of such claim at the time of GD/Interview/Counselling. The permission granted to the candidates to appear in on line test /counselling /Group Discussion (GD) and interview is merely provisional. Final consideration of the candidature is subject to fulfilment of the eligibility criteria to be verified at the time of counselling and / or GD and Interview. Medical Certificate to be provided in the form given at Annexure‐1 in Information Brochure. Sponsorship certificate from the employer in case of Government/Industry sponsored candidates as per form attached at Annexure‐2 in Information Brochure. Documentary proof in support of the NRI status. Affidavit to be provided in the form of Undertaking provided at Annexure‐3 in Information Brochure. Undertaking to be given by the parents regarding ragging for their wards to abide by rules of the Institute to be given in the form given at Annexure‐4 in Information Brochure. Affidavit to be provided in the form of Undertaking provided at Annexure‐8 in Information Brochure. NOTE: All the documents required to be submitted should be self attested by the candidates. For more details on NIPER JEE 2019, download information brochure.